Tatiana and Josh interview Julia Tourianski of Brave The World. Julia Tourianski is the creator of the website and youtube channel Brave the World. Her only goal is to influence the rejection of assumed power structures. The first bitcoin address she ever generated ended with “FU,” which is quite telling. Tatiana and Josh interview Judd Weiss. Scotch and Scholars — Walter Block: Libertarians for Trump? Tune in for the latest shock from Block. Prolific scholar Walter Block has founded Libertarians for Trump, with the goal of "mobilizing massive support for Donald Trump." What is the likely outcome of hitching a libertarian wagon to Trump? Is supporting Trump significantly better or worse than supporting the other candidates in the major parties, or in the Libertarian Party, or just abstaining from the process altogether this cycle? P4PWHP — Can Libertarians #FeelTheBern? Is it time for libertarians to #FeelTheBern and support the quasi-socialist (but self-styled peacenik) Bernie Sanders? Lucy Steigerwald welcomes Will “stupidconservativepants” Ricciardella to formulate a small-government person's grim guide to the election. Is there any hope to be found in anyone? Mike Reid interviews the venerable and fascinating Butler Shaffer. We take a close look at his famous book, Boundaries of Order (http://www.amazon.com/Boundaries-Order-LvMI-Butler-Shaffer-ebook/dp/B003ZDP0P4/), and explore what freedom lovers can do right now in their own minds and lives. 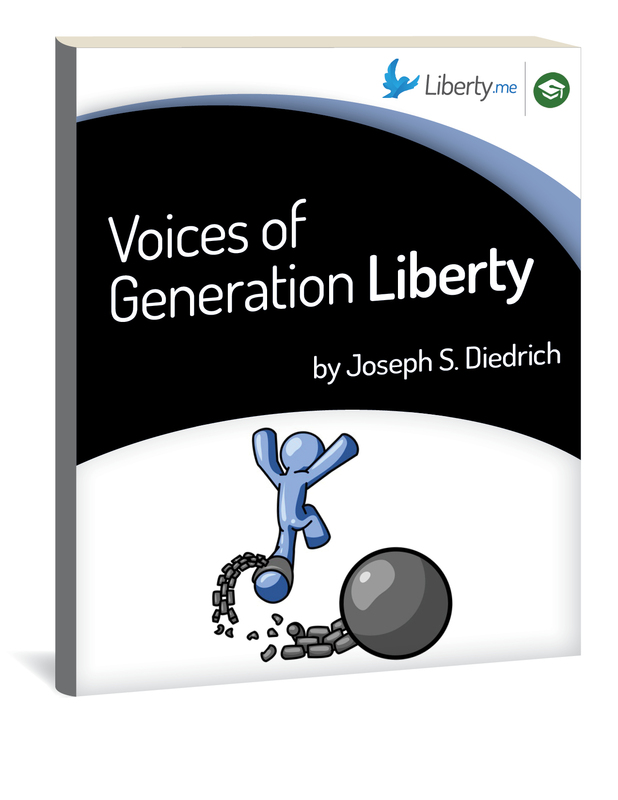 Joe Diedrich and Jeff Tucker bring together a flock of friends to celebrate Liberty.me’s latest guide release: Voices of Generation Liberty. The Voices guide is chock-full of fun, personal interviews with heroes of today’s liberty scene, giving you a taste of the human side of the freedom movement.